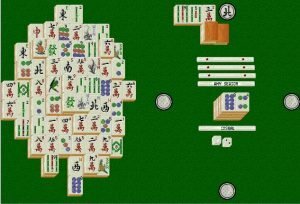 Prepare to limber up your mind with the low-key but efficient Mah Jongg Wall. While not for everyone, it is a neat and challenging game that deserves a serious look from all of you Freecell junkies. 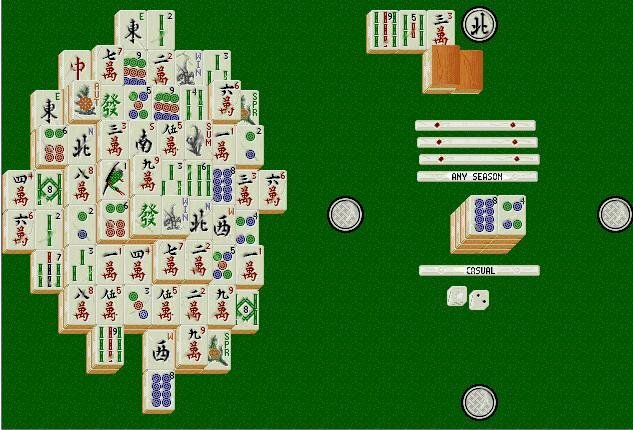 Mah Jongg Wall provides just the sort of mind bending puzzle that leads to sleepless nights. 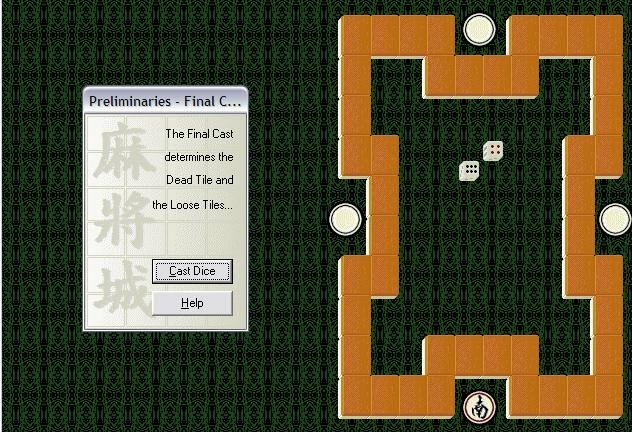 Based on its classic namesake, this Wall version (similar to games like Taipei or Shanghai) has the player matching free tiles and then using them to build the Wall. There are a few twists, though. Tiles are only free in the vertical or horizontal direction, depending on the prevailing wind. Additionally, the season tiles are dummies, which have to be replaced with number tiles from a dead pile. 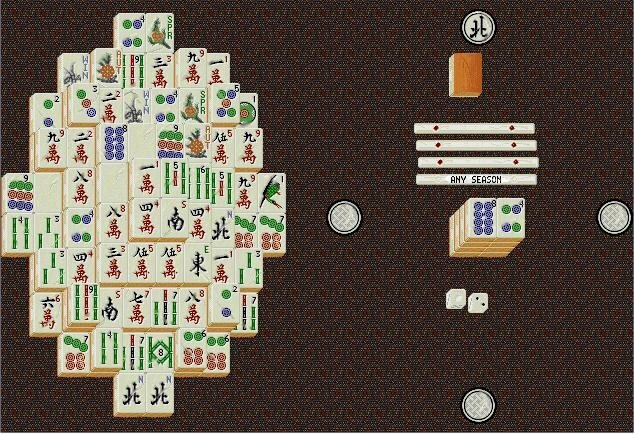 And in a final variation, one random tile is not stacked, being replaced by the Joker tile which the player must uncover and match with the orphaned mate. 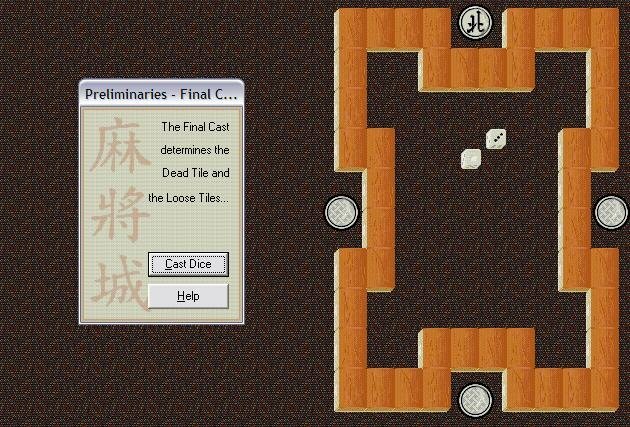 Audibly the game provides a quick taste of the East with its atmospheric background music. Colorful playing mats provide some eye candy, however, the limited contrast in the tile borders occasionally makes it hard to tell tile levels. Every game won is different. Every game lost leaves you wondering where you went wrong. If most computer games leave you wishing they required more thought, or your reactions aren’t as quick as they used to be, then give this game a try. 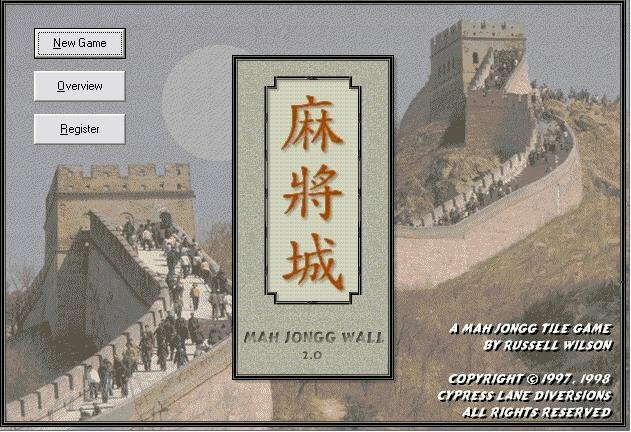 Do you have the key code for registering Mah Jongg Wall so I can enlarge the playing interface? This is the best version of Mah Jongg ever!! Thank you.